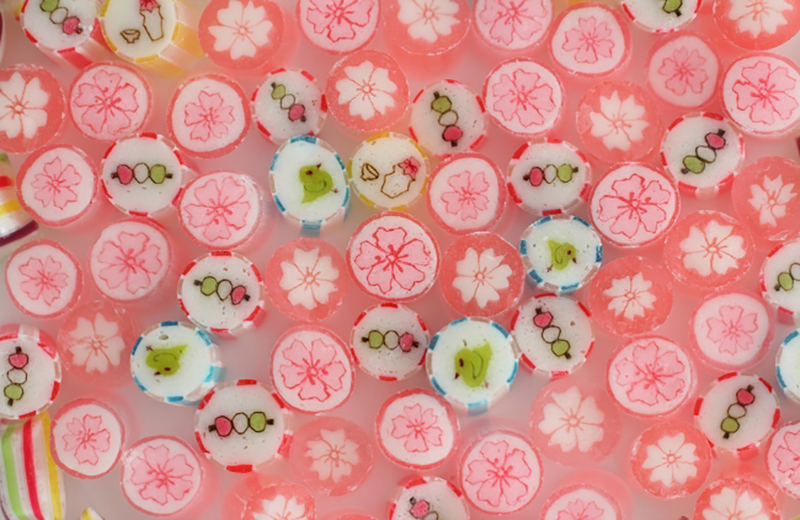 Looking for some sakura-inspired deliciousness? 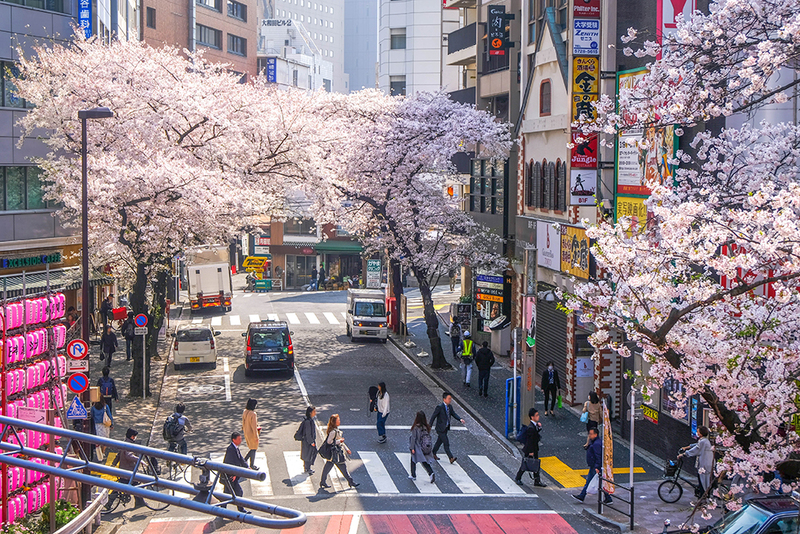 Other than enjoying the sight of cherry blossoms, you can try various desserts and sweets that are inspired by this beautiful flower. Curious to know what’s in store this spring, then read on. 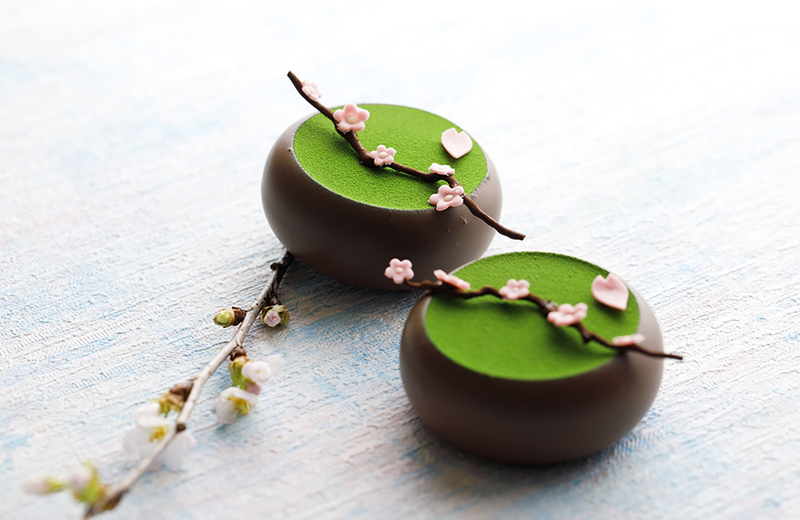 Our first pick is this gorgeous looking dessert called Flower Garden available at the Mandarin Oriental Gourmet Shop in Nihombashi, Tokyo. 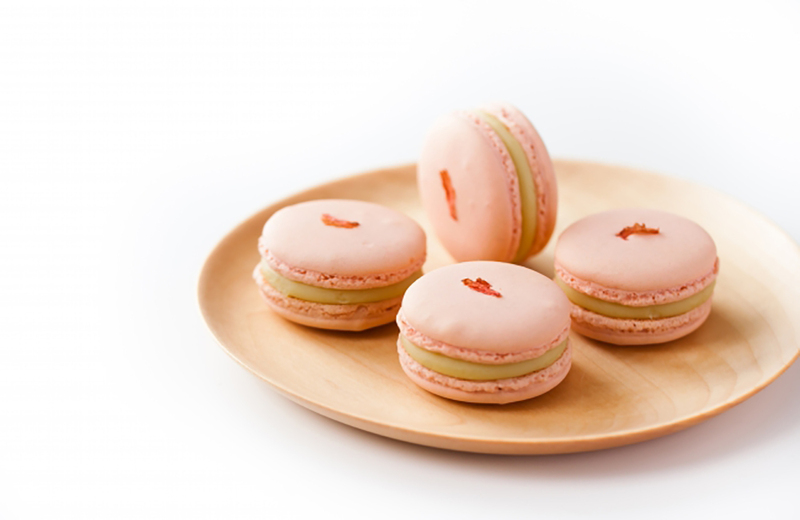 Other than this, you can also get a Sakura Panacotta or macaroons! 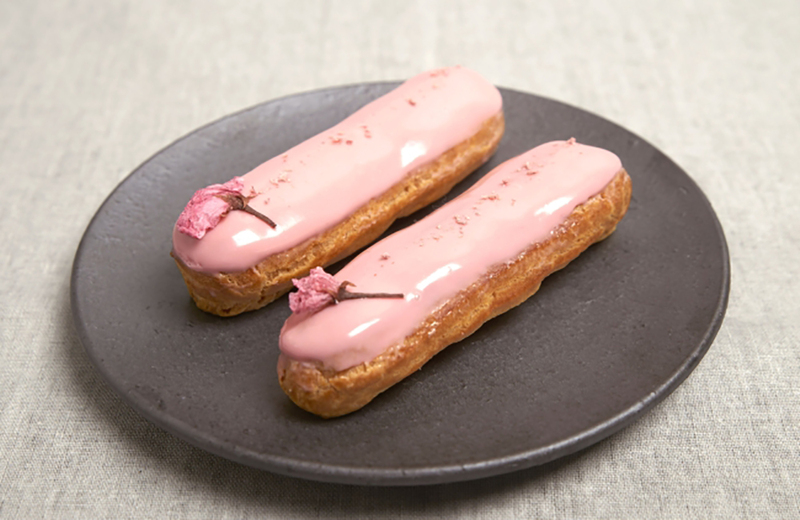 Our next pick are these éclairs from pâtisserie Sadaharu AOKI paris at Roppongi Midtown in Tokyo. Simple and truly representative of the elegance of cherry blossoms. Can you believe how beautiful this dessert is!! 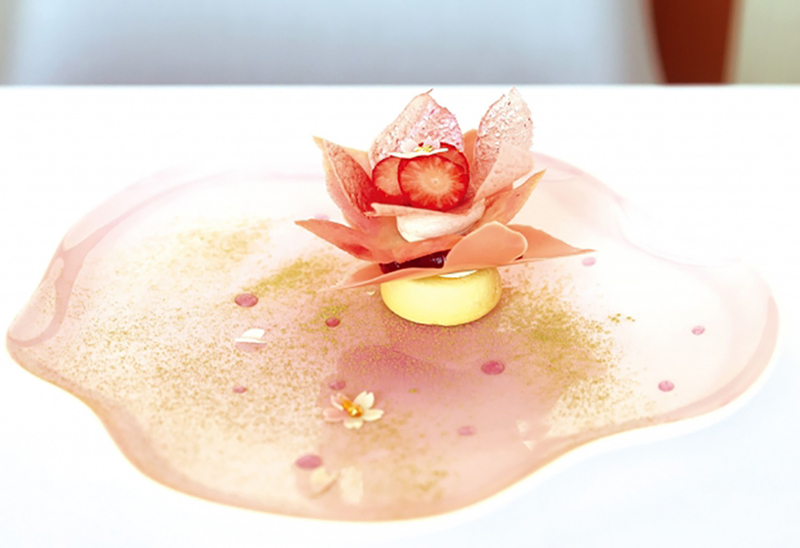 Called “Cherry Blossoms Fluttering on the Roppongi Terrace,” this dessert definitely fits the name. Available only for dinner at the Roppongi Terrace by Philippe Mille, our cameras are so ready for this. How could we miss Dominique Ansel Bakery!! 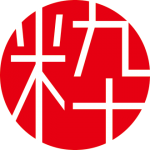 What can you get here? 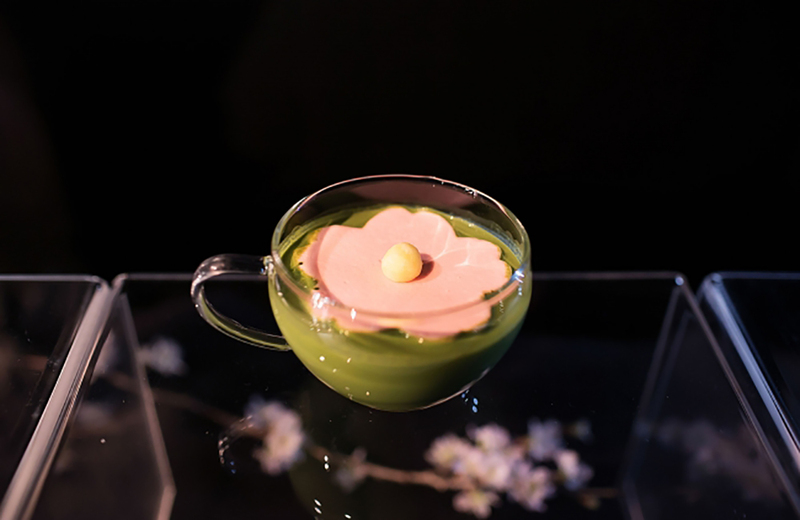 A matcha latte with a marshmallow sakura that blooms once placed in the hot latte. 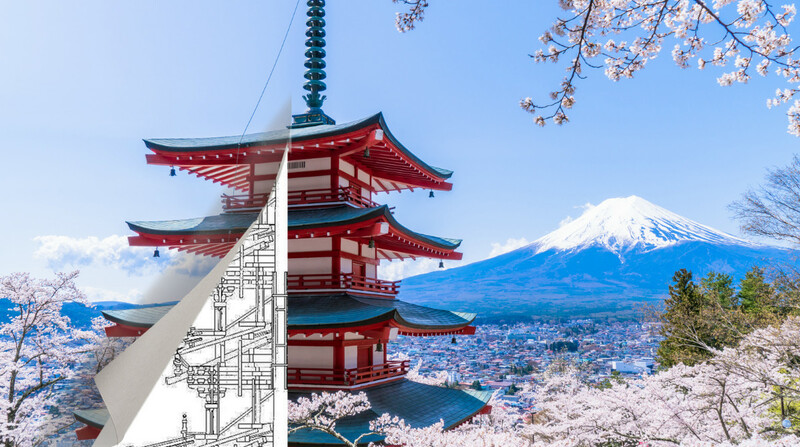 With this one, you get the a little theater while you enjoy these two flavors that are quintessentially Japanese. 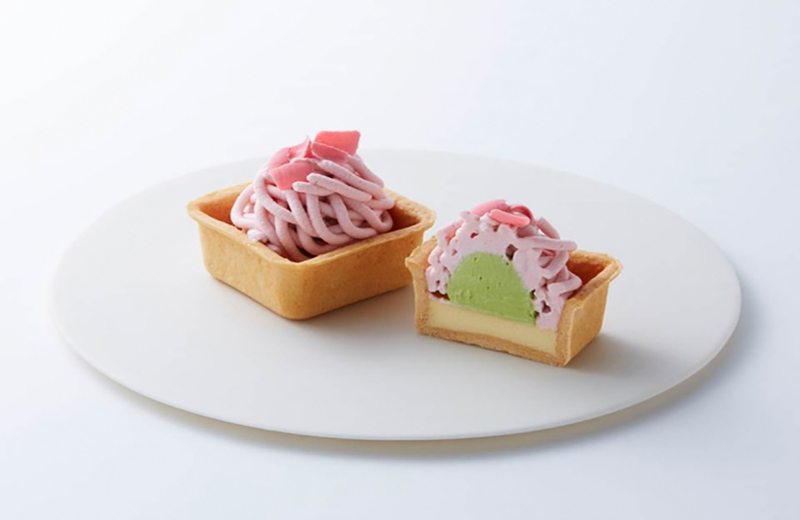 Our first pick in this category are the Sakura Rare Cheesecakes for 216 yen at Morozoff. Cheesecake, Uji green tea cream topped with pink chocolate! What’s not to like? Macroons with a white ganache made using sakura leaves and strawberry jam at Decadence du Chocolat. Want to take something home with you or for friends? 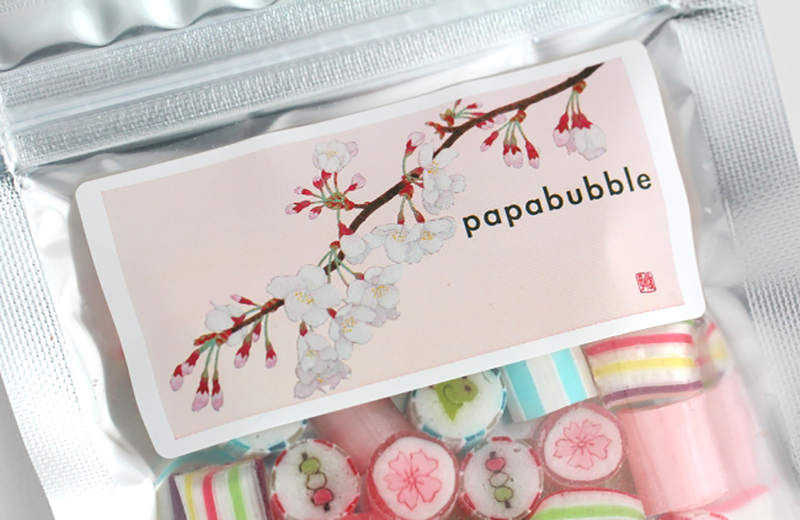 Then these sakura candies by Papabubble are great. A bag costs 580 yen and the packaging has beautiful sakura artwork by Koido Naoko. And our final choice is the Sakura Pie available at Ginnobudo. 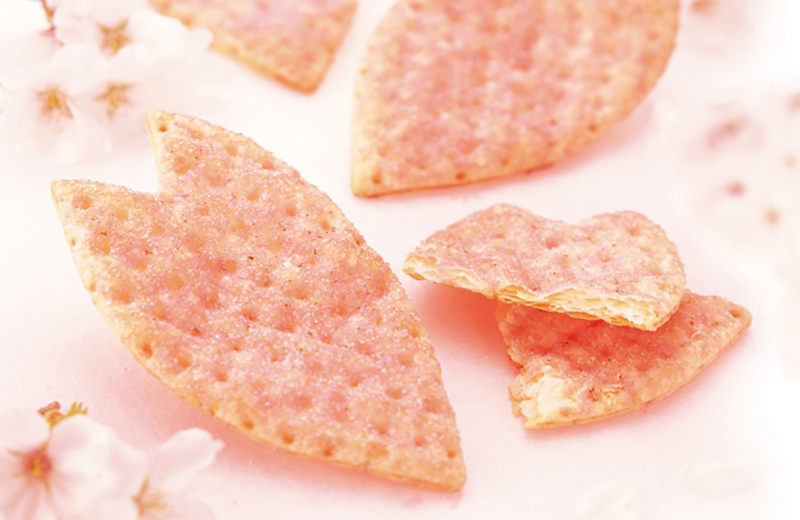 Crispy and buttery with a light pink drizzle of sparkly sugar! Pleasing to the eye, capturing the essence of cherry blossom petals. 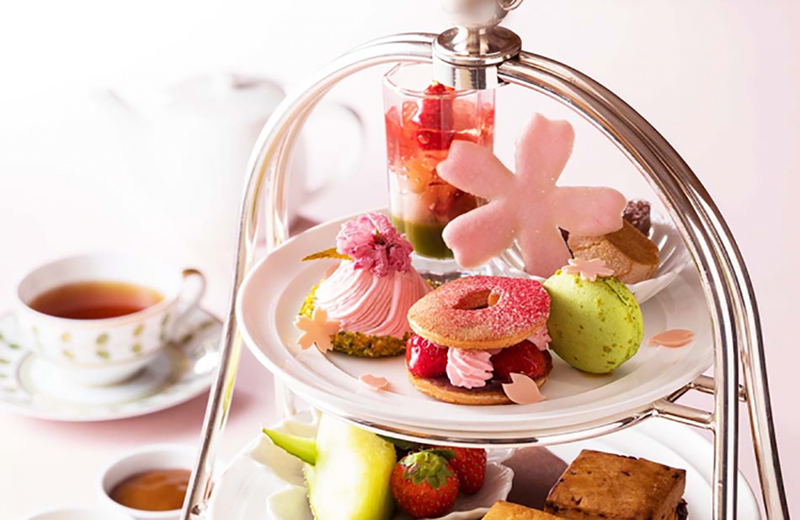 For a special occasion, how about a sakura afternoon tea? 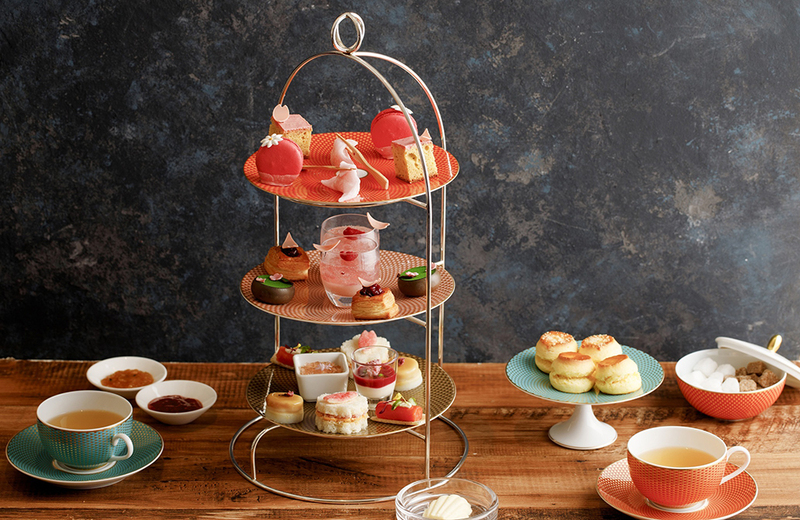 Mandarin Oriental Lounge offers a Sakura-themed afternoon tea. 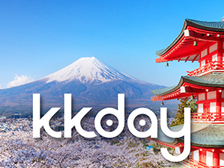 Located on the 38th floor, enjoy a view of Tokyo and some of the best savory and sweet assortments. 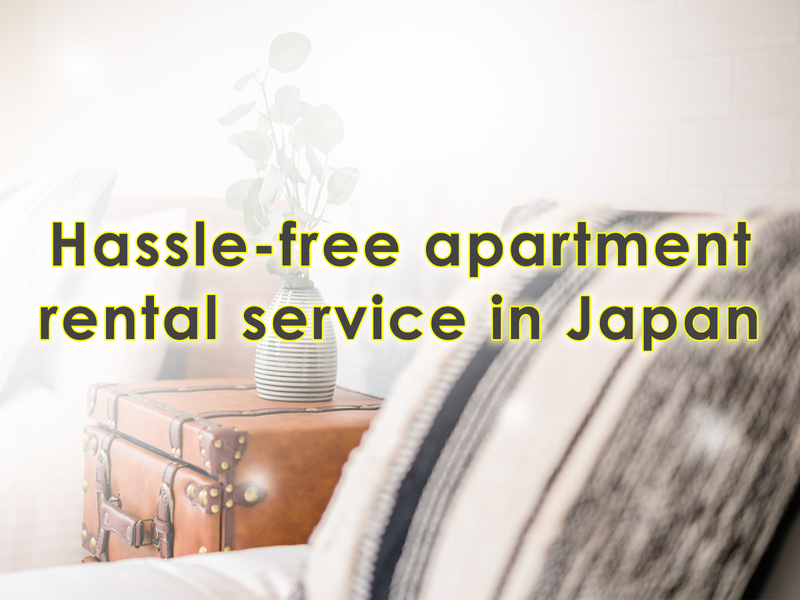 Price for weekdays is 4,500 yen and weekends is 4,800 yen. 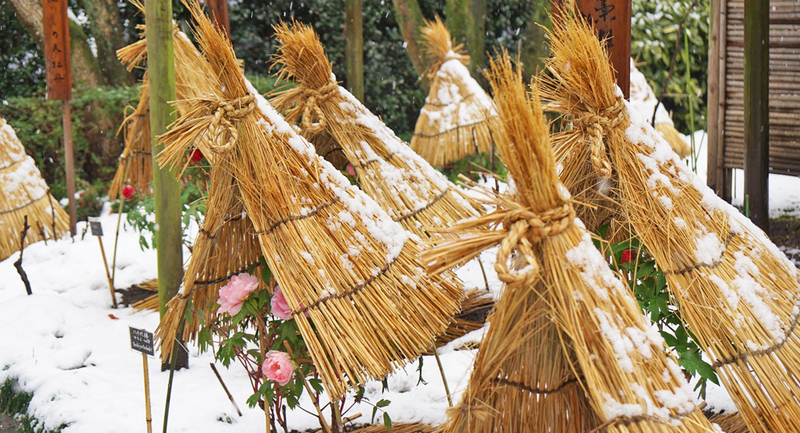 These are ideal for those who wish to spend a special afternoon with their loved ones. 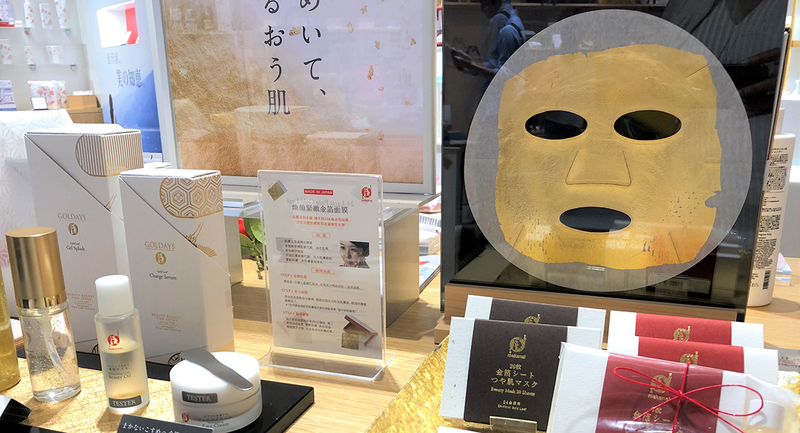 Expensive but truly worth the experience once! 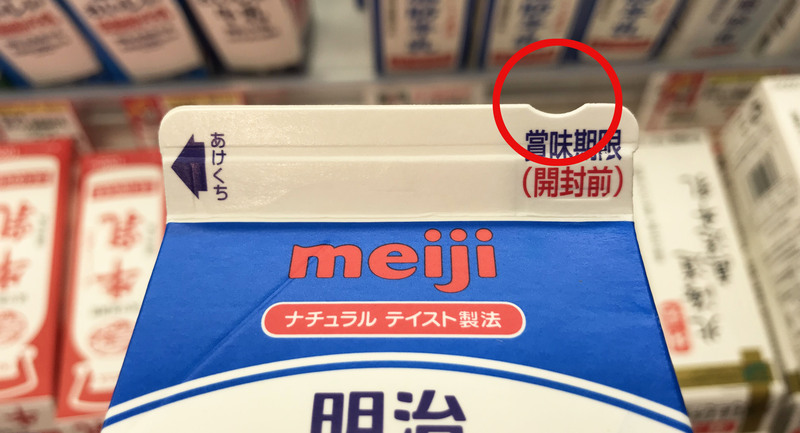 So have you added these to your must-do list for Japan? Hope you enjoy the blossoms to the fullest!